Why would I need self storage in Allen Park, MI? There are a variety of reasons why you might need self-storage in Allen Park, MI. How much is a storage unit in Allen Park, MI? The cheapest storage unit in Allen Park, MI is $64.00 per month. What size storage units do you have available in Allen Park, MI? In Allen Park, MI we have sizes that range from 5'x5' to 10'x20' to suit your storage needs. How much is it for a 5'x5' storage unit in Allen Park, MI? The cheapest 5'x5' storage unit in Allen Park, MI is $71.00 per month. Allen Park is a small city in southeastern Michigan that's less than 10 miles from Detroit, and it has been named among the best suburbs in the metro area. It's part of the region locally known as "Downriver" and has a distinct character thanks to its brick homes, tree-lined streets and small-town feel. Life in Allen Park comes with a host of perks, including proximity to local attractions such as the historic Fort Wayne and the Fox Theater Building. 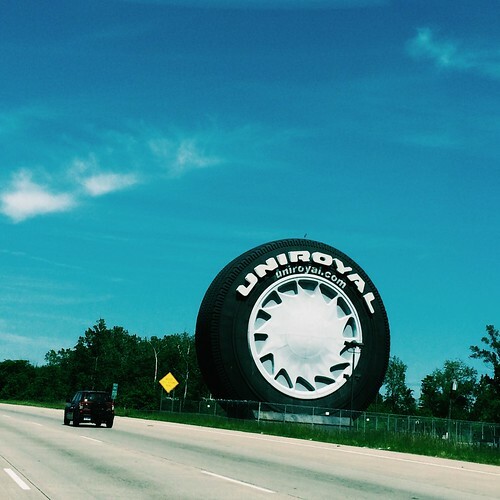 One of the more unique features of Allen Park is its status as the location of the world's largest tire, measuring 80 feet tall and weighing about 12 tons. The landmark is a nod to the town's automotive history, which has welcomed big names such as the Ford Motor Company over the years. It's also easy to drive into Detroit to enjoy the attractions of the larger city, including its professional sports teams, shopping and dining. Popular destinations in Detroit include Belle Isle Park, the Detroit Institute of the Arts and the Henry Ford Museum. If you're hoping to pursue higher education goals in Allen Park, you'll be happy to find that there are many colleges and universities within a short driving distance, including Davenport University and Wayne Community College. Allen Park has a very low unemployment rate, far lower than the national average. This is good news if you're planning to look for a job in the area, because you're likely to find plenty of local prospects. The Ford Motor Company is one of the town's major employers, and there are also jobs to be found in the health care, food service and retail industries. If you can't find a job that suits you in Allen Park, commuting to Detroit or Dearborn is fairly easy. The Allen Park Public School District operates the majority of the public schools in town. You can also enroll your child in one of the region's private schools, most of which are faith-based schools associated with community churches. Utilities: Major utilities providers in the Allen Park area include the city's utilities department and Detroit Edison. Garbage and Recycling: The city facilitates collection of trash, recycling and yard waste. Transportation: Allen Park is part of the large SMART transit system, which offers a public bus route as well as paratransit services. Allen Park is an extremely affordable place to live, with a median home price that's significantly lower than both the state and national averages. You can find small single-family homes that are ideal for married couples, spacious homes for growing families or cozy apartments that are budget-friendly and low-maintenance. Our lowest priced units in Allen Park, MI average $67.50 per month. 125 people have reserved units in Allen Park, MI in the past 30 days. There are 2 locations within Allen Park, MI's city limits. There is 1 location in Allen Park, MI that offers AC and Heating features.